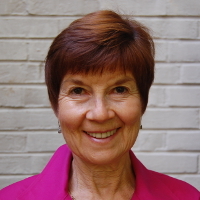 Carol A. Gantman, Ph.D., a licensed psychologist, has been practicing for more than 30 years in inpatient and outpatient settings. Her areas of specialization include working with divorcing families and with individuals and families dealing with eating disorders. Dr. Gantman was the co-founder of Health Forum, a psychology practice dedicated to the treatment of psychological issues related to medical conditions. She was also affiliated with The Renfrew Center, where she did training and supervision. Dr. Gantman holds appointments as Adjunct Professor at Widener University and Philadelphia University. Dr. Gantman is certified as a group psychotherapist, an Imago couples therapist, and in the use of EMDR. Over the last 8 years, Dr. Gantman has performed evaluations to document psychological impact on individuals seeking to obtain legal immigration status. She has testified in Common Pleas Courts in the five counties and in Immigration Court. She has been influenced by and introduced the principles and practices of Mindfulness into her therapeutic work with clients.